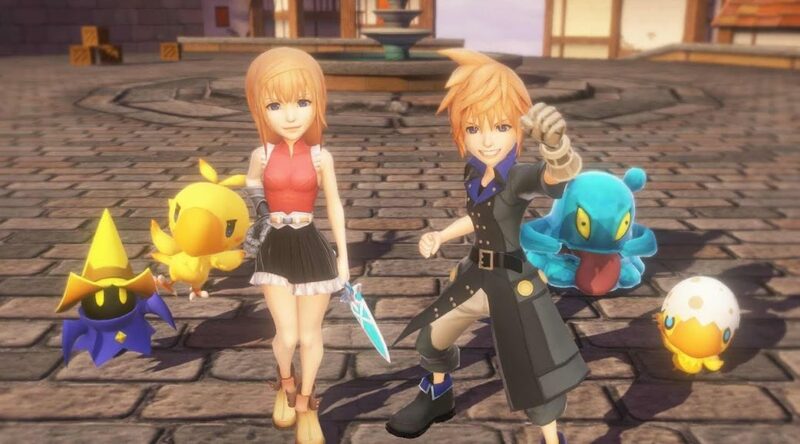 With so many things being revealed at Tokyo Games Show 2018, it is easy to miss one or two details about Square Enix’s upcoming World of Final Fantasy Maxima, which is slated for the Nintendo Switch. Didn’t really see this mentioned anywhere. Based on my limited Japanese the segment confirms few things. Avatar change is done through mirajewels (and only lilikin forms of champions are available, just in case someone was hoping for L size champions). Vita version was not technically possible, something to do with memory limitations. New Game+, someone with better Japanese knowledge may be able to gleam extra info about how it works exactly, seems pretty straightforward from what I gather. (unsure) Something about endings, my optimistic interpretation is that there is something extra/continuation added. Hard time figuring out whether they mean you need to complete the game once or not (i.e. is some of this new game+ exclusive or not) because we already had multiple endings in the original as well. Coreul and big/fat carbuncle are specifically mentioned when it comes to Mirages, and something from MeliMelo, and Garland that will be similar to Gilgamesh as a mirage in terms of how they work. You can also see an L-size Cerberus in some of the footage (at least he looks pretty damn similar) and Snow’s Shiva. They also talk about how the original did comercially speaking at one point for those curious… suffice to say it is not flattering.